Saymon Ankhol’t: Problema Rossii v tom, chto ee schitayut obuzoy [Simon Anholt: Russia’s Problem is That it is Considered to be a Burden], available at: http://snob.ru/selected/entry/56182. Stolypin P.A. Rech’ o sooruzhenii Amurskoy zheleznoy dorogi [Discourse on Construction of the Amur Railway]. V knige: V poiskakh svoego puti: Rossiya mezhdu Evropoy i Aziey [Searching the Own Way: Russia Between Europe and Asia]. Khrestomatiya. Chast’ 2. Moscow, Nauka, 1995, 527 s.
Savitskiy P.N. Utverzhdenie evraziytsev [Consolidation of Eurasians]. V knige: Kontinent Evraziya [Continent of Eurasia]. Moscow, 1997, 464 s.
Savitskiy P.N. Geograficheskiy obzor Rossii-Evrazii [Geographical Overview of Russia-Eurasia]. V knige: Kontinent Evraziya [Continent of Eurasia]. Moscow, 1997, 464 s.
Vernadsky G.V. Nachertanie russkoy istorii [Outlining Russian History]. Saint Petersburg, 2000, 357 s.
Vladimir Putin: Novyy integratsionnyy proekt dlya Evrazii — budushchee, kotoroe rozhdaetsya segodnya [Vladimir Putin. 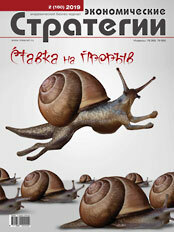 New Integration Project for Eurasia — the Future that is Being Born Today], available at: http://izvestia.ru/news/502761. Evraziyskiy soyuz — vyzov Bryusselyu [Eurasian Union — a Challenge for Brussels]. 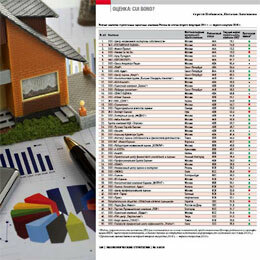 Il Giornale, available at: http://inosmi.ru/sngbaltia/20140602/220736469.html.